Each month we aim to highlight student researchers! After spending two weeks sailing through the Canadian Arctic aboard the Lubov Orlova, Carolyn knew she wanted to work in the north! Getting involved in research early in her academic career at the University of Guelph allowed her to work in Northern Alberta and Alaska. 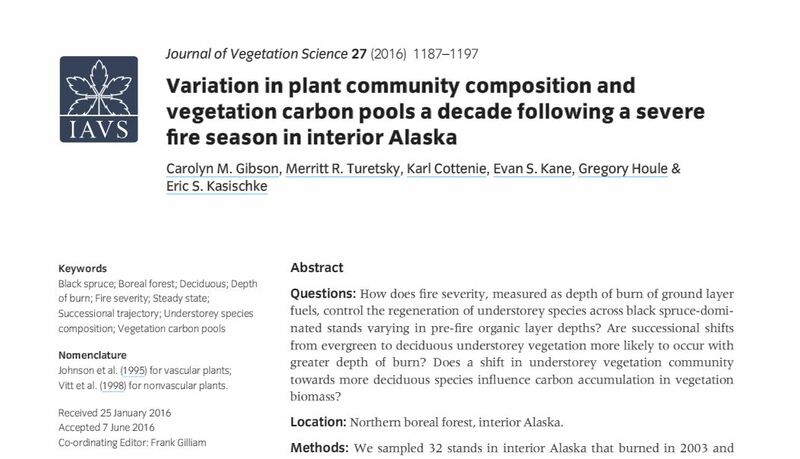 It is here she discovered her passion for peatlands and permafrost! 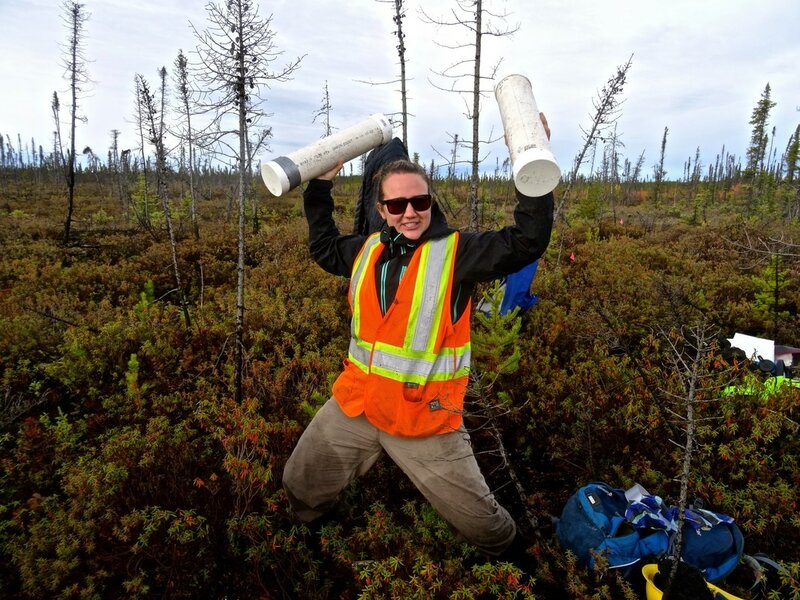 This led her to be completing her masters at the UofA where she is currently studying the impacts of wildfire on permafrost stability in the Northwest Territories. Outside of research Carolyn is highly involved in both her academic and local community. She currently serves as co-chair for the CONFORWest Graduate Student Conference and volunteers as a medical first responder in the City of Edmonton. Carolyn likes to stay fit by doing shoulder presses with peat surface cores. ​Kenzie is a Master’s student in the Catchment and Wetlands Sciences group under the advisement of David Olefeldt. 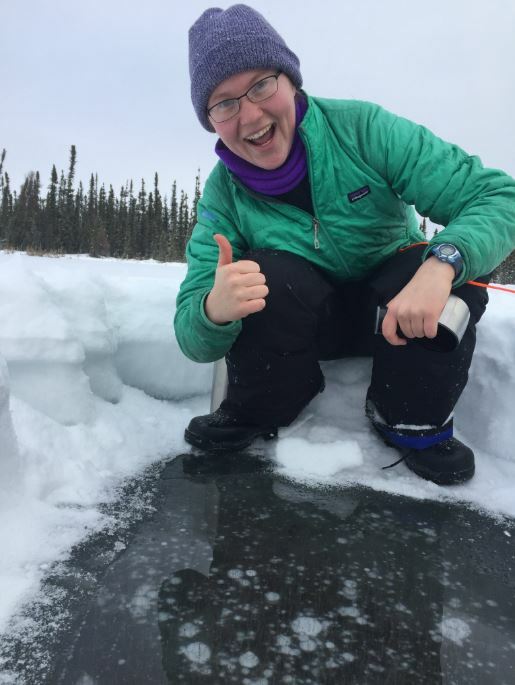 She is interested in understanding the impacts of climate warming on permafrost thaw and greenhouse gas emissions from lakes across the circumpolar region. Currently she has field sites in northern Alberta along the 60th parallel. Originally from Colorado, she received her Bachelor’s degree in Environmental Science from Wheaton College (MA) where she also served as a captain for the women’s basketball team. She first developed a passion for the Arctic during a summer research position in northeast Siberia with the Polaris Project. Since this time, she has spent two additional summers in northeast Siberia and Alaska. Before moving to Edmonton, she received a Fulbright Scholarship to conduct research in Northern Sweden with the Climate Impacts Research Center in Abisko. When she isn’t getting overly excited about finding methane bubbles trapped in lake ice, she enjoys hiking, traveling, and coaching youth basketball. Email csanorth@ualberta.ca to be featured!